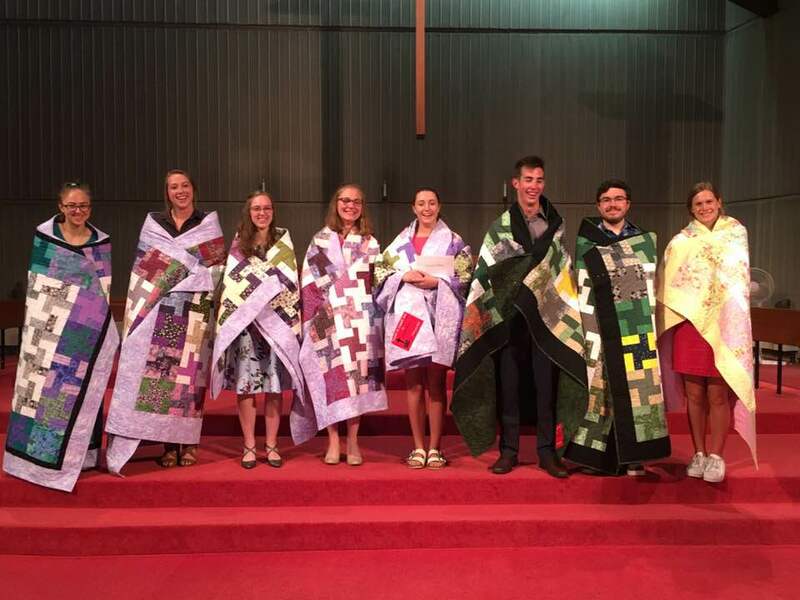 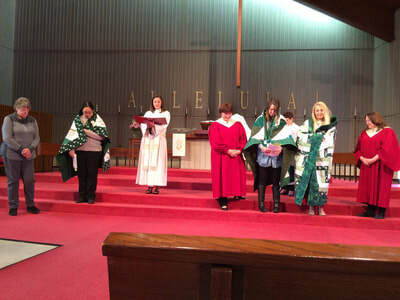 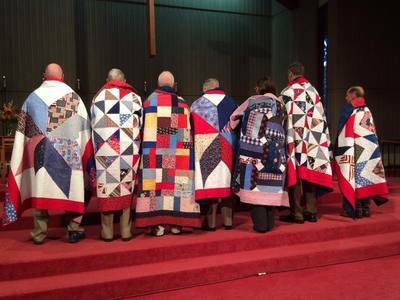 Prayers & Squares is an interfaith outreach organization that combines the gift of prayer with the gift of a hand-tied quilt. 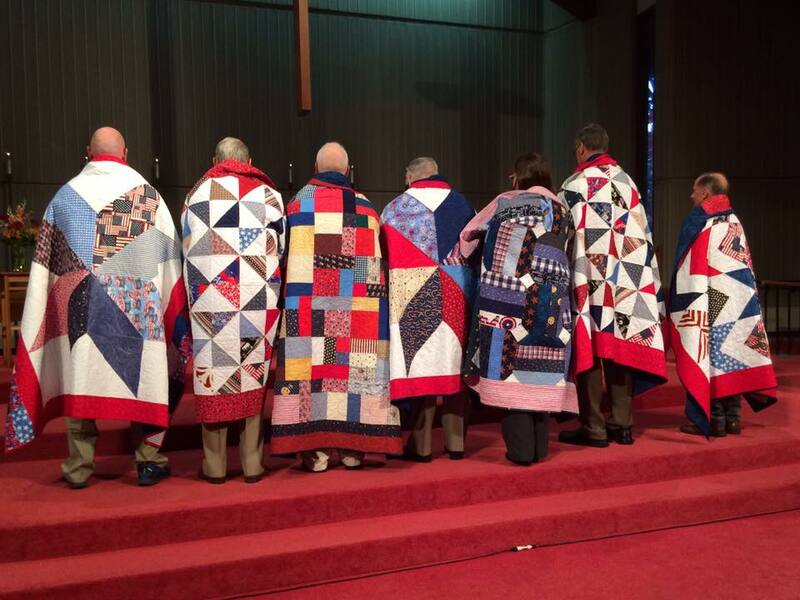 As each knot is tied, a silent prayer is said for someone in special need, who then receives the finished quilt. 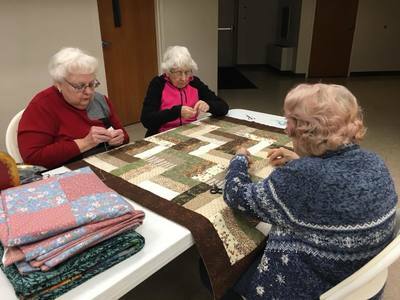 Quilters meet monthly on the second Tuesday and also on the fourth Saturday in Sept., Oct., Jan., Feb., March, and April from 9:00 am to 12:30 pm to construct the quilts. Everyone is welcome – from beginners to experienced quilters! 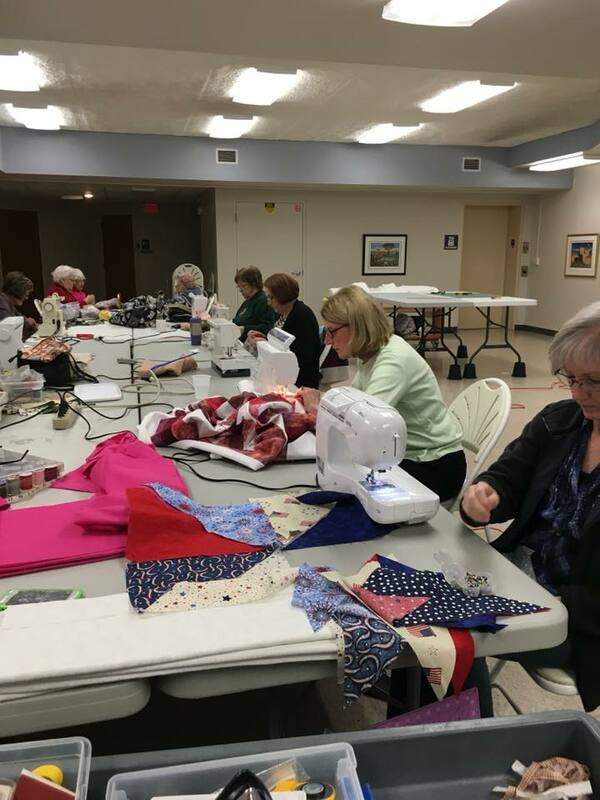 ​Even if you don’t sew, people are needed to cut and iron. 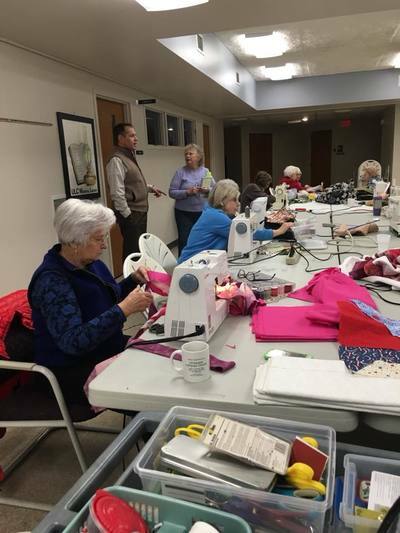 There are many ways to help with or support this ministry. Contact Bobbie Davis to learn more about this ministry.